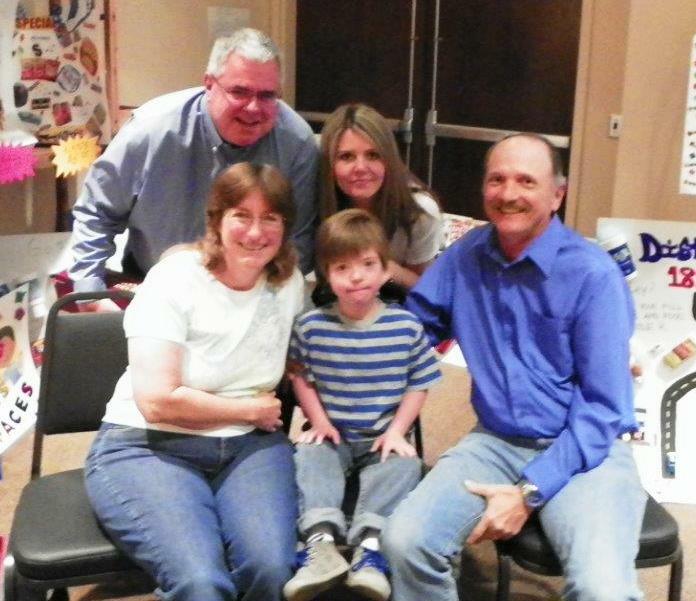 Christian was given the gift of a voice recently by Circle K New Mexico and Ability Connection New Mexico. He was presented with a communication device through Ability Connection’s Tech Initiative – Enabling Communication Program. Christian used his device to type “thank you”, expressing his appreciation for his new found ability to speak. Christian is a five-year-old with an intellectual disability. His family lives in Albuquerque. During the reception, Circle K gave a check for $319,227 to Ability Connection to support children and adults like Christian with physical and intellectual disabilities. Circle K is a community partner of Ability Connection and generates revenue for the agency through its annual Fancy Pants golf tournament, in-store mobile campaigns, canister collections and regular participation in Ability Connection fundraising events. There are 61 Circle K neighborhood convenience stores in New Mexico. Circle K has become one of the most widely recognized convenience store brands, known worldwide for quality products and great customer service. There are more than 7,000 Circle K stores operating in the United States and 13 other countries. The Technology Initiative of Ability Connection is made possible by support from Circle K. Ability Connection is making assistive technology more accessible to individuals with disabilities by providing different types of technology to individuals who can benefit from its use. The Technology Initiative gives individuals with disabilities the opportunity to receive assistive or therapeutic equipment at no cost. Ability Connection New Mexico is a regional health nonprofit that provides a full range of services for people with physical and intellectual disabilities as they strive to achieve their highest level of independence.